Cohousing professionals can include architects, developers, facilitators, development consultants, marketers, trainers, and others. Creating a cohousing community is a big job! Knowledge and experience in managing a development of the size and scope you're contemplating (check references, visit their existing developments - it would be very risky to hire someone who has never done this before). Good communication and organizational skills, able to be the liaison between the group and the regulatory authorities, professionals, financial institution, and general contractor. The following professionals are interested in providing services to forming groups and existing communities. The Canadian Cohousing Network does not screen professional listings in any way and inclusion here is not a CCN endorsement. We accept no responsibility for the consequences of hiring any of the professionals listed below. We strongly advise that you request and check references before making hiring decisions. Ronaye Matthew has over 30 years experience in residential development, marketing and construction. She has provided start-up and development management services for most of the completed cohousing communities in Canada. Ronaye works with groups from the initial forming stage to move-in. She knows what it takes to support a group to ground their vision in reality and generate the membership and financial resources required to move forward and get the project built in a time and cost efficient manner. 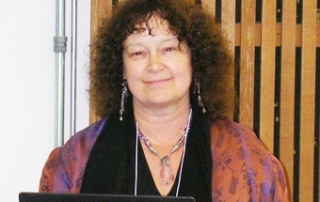 Ronaye is a founding member of the Canadian Cohousing Network and lives at Cranberry Commons Cohousing. At CoLiving Canada we aim to inform, equip, and coach people and groups who are interested in intergenerational and 50+ CoHousing and CoLiving. We offer workshops, training, advisory and project development services leveraging expertise provided by our in house team and through collaboration with local partners and international experts and leaders in CoHousing. The LiveWell team provides consulting services to groups from initial start-up through to move-in. We streamline the cohousing development process allowing the community to focus on vision and community building while we manage the details of day-to-day project management. Gary Morrison has over 20 years of development and financing experience, and Yonas Jongkind has managed cohousing developments for over eight years. We also like to work with other local project managers in each community who best meet the needs of the group – ensuring good support and a local presence. LiveWell can provide “seed funding” and assistance to help groups acquire land in the early days. 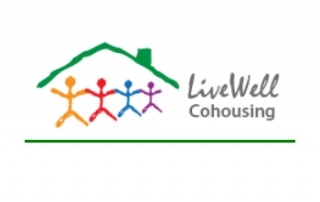 LiveWell occasionally launches new cohousing communities by securing a great site and then hosting public information sessions in the community to publicize the location. We aim to be the spark to ignite new cohousing communities!